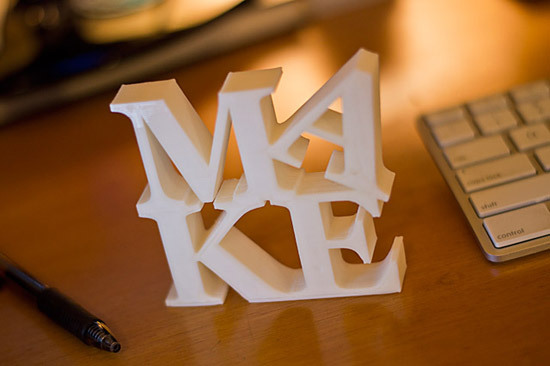 One of the great things about Milwaukee Makerspace is the inspiration you get from other people. Kevin recently used our aluminum forge to create a piece he calls FEAR, which he said was an update of Robert Indiana’s LOVE. 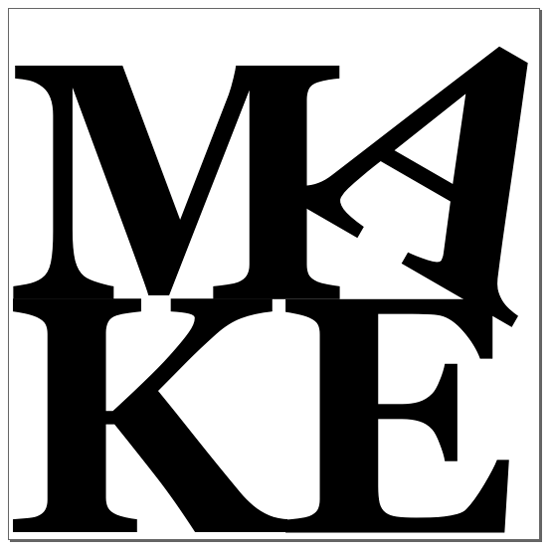 I’m not one to give in to fear, and I figured that with a new year beginning we should focus on something a bit more positive, so I created MAKE. I also figured I’d walk through the process of creating this piece. 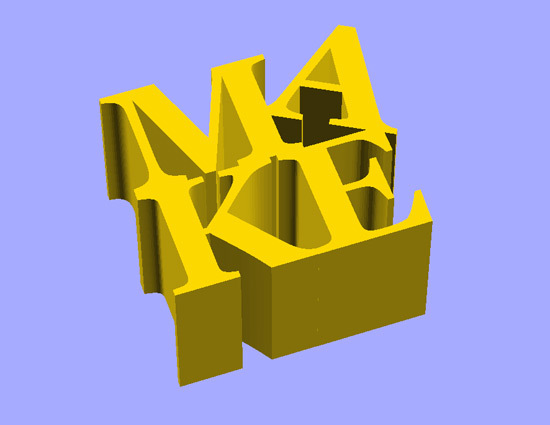 While MAKE is three dimensional, it’s really just an extruded two dimensional form (sometimes called 2.5 dimensional) so I started as I often do, with Inkscape. 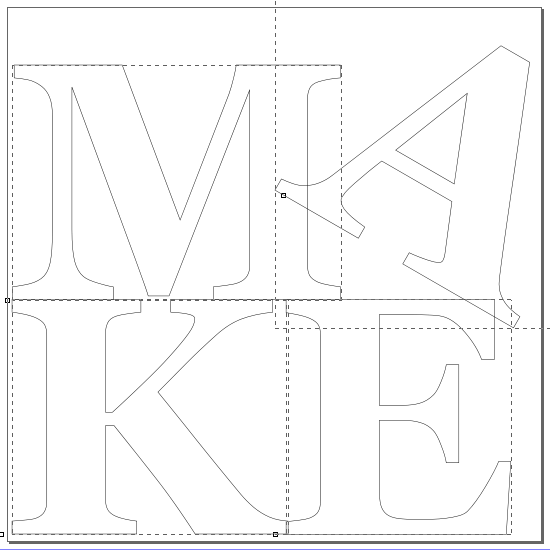 I used Georgia Bold, which is the font Kevin used in his piece, and typed up the letters for MAKE. I selected each letter and combined them into one object via the “Union” command under the “Path” menu. At this point we no longer have editable text but an outlined object. We still have curved lines though, and that just won’t do for 3D printing, as we need all straight line segments. 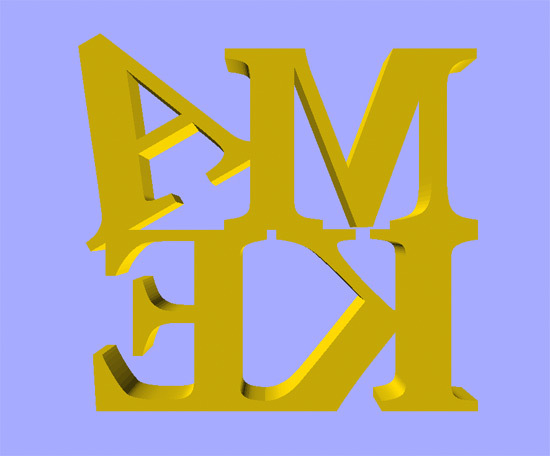 After I had my artwork outlined, I exported it as a DXF file and brought it into OpenSCAD to extrude it. Also, here’s a trick: I actually flipped it 180 degrees in OpenSCAD so that it would face down on the print bed. I wanted the “front” of the piece nice and smooth. Here’s what it looks like in proper perspective… What’s that? 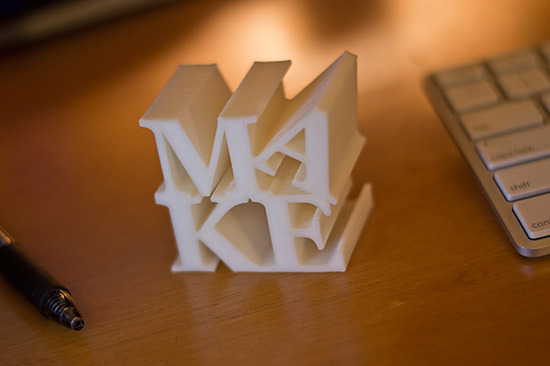 You’re already getting inspired to make something? Excellent! And here’s our final piece. MAKE… in plastic… for your desktop. I like the white, but I definitely need to get more filament colors… I think this would look great in orange or red! I made an attempt at a larger version, but the old RepRap went a little crazy and the print failed about 15% into it. Still, it’s a pretty good MAKE if you ask me. Perhaps this one is more suitable for the wall than the desk. Posted on Sunday, January 6th, 2013 at 10:17 am. Subscribe to the comments feed. Both comments and pings are currently closed. Post on your own blog. This is *so* cool! 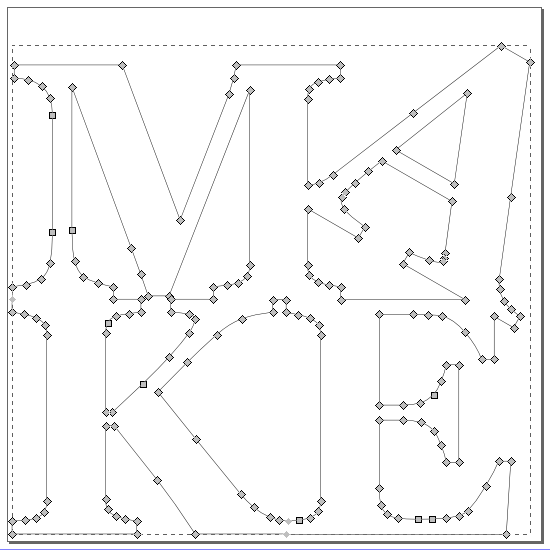 Im going to laser cut this for my wall at home! Kerman, you want an SVG or DXF file? 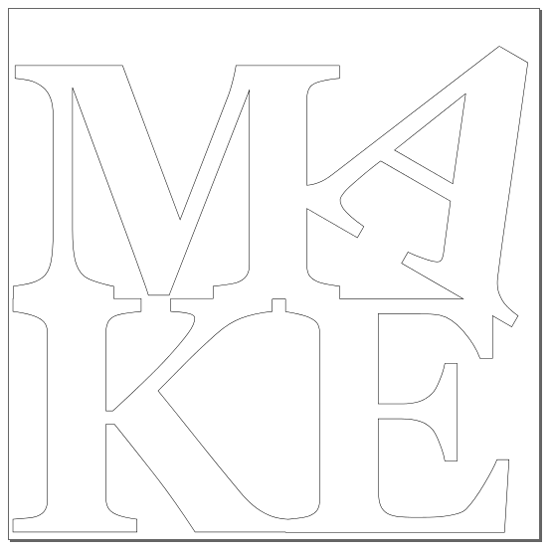 SVG and DXF files are now on Thingiverse. Just made one, many thanks for posting this! One tip to add nodes only in the curved areas, use “Extensions – Modify Path – Flatten Beziers” with a flatness value of 0.5 to 0.3.